A pilot stranded in the desert awakes one morning to see, standing before him, the most extraordinary little fellow. Please, the stranger says, draw me a sheep. And the pilot realizes that when life's events are too difficult to understand, there is no choice but to succumb to their mysteries. He pulls out a pencil and paper, and thus begins this wise and enchanting fable that, in teaching the secret of what is really important in life, has forever changed the world for its readers. 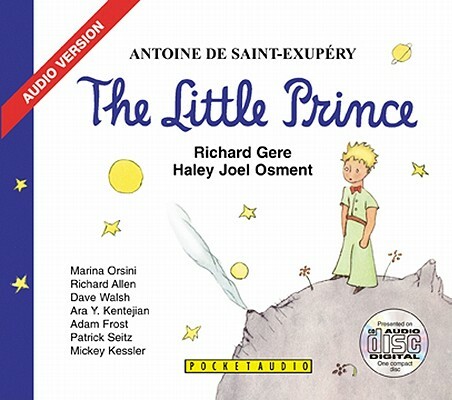 This fabulous audio version, told by Richard Gere and featuring the young Haley Joel Osment as the Little Prince, brings to life this beautiful story and captures listeners of all ages.